I’ve had my Fiesta ST for a little over a year now. During that year I didn’t modify anything until the very end when I installed Fifteen52 Turbomac wheels and a used Cobb Accessport. Fast forward to February 2018 and I received a Boomba BPV Spacer as a gift. If you don’t already know the difference between a BPV and a BOV I suggest reading our BPV vs BOV article. Right off the bat, you may be wondering what the purpose of the BPV spacer is, and the short answer is that there is not a purpose. Realistically on a street car, you want to recirculate all the air back into the intake for the best possible throttle response and to minimize turbo lag(not turbo threshold). This little spacer takes your 100% recirculating bypass valve and makes it work like a 100% VTA blow off valve. The entire purpose of this part is to increase the volume of that“PSSH” noise. As far as performance goes, this part does not add any performance to your Fiesta ST. 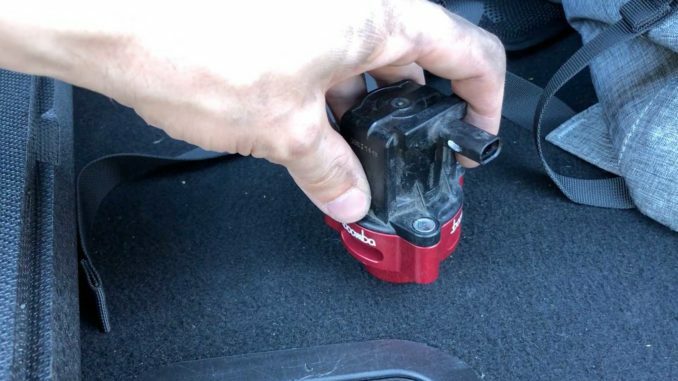 In the past, I’ve always worked on old Jeeps or trucks, and I’ve always dreaded installing anything on a newer car, as everything in the engine bay is hard to reach. Unfortunately, the Fiesta ST has a pretty cramped engine bay. Luckily, the stock bypass-valve can be accessed through the passenger wheel well fairly easily. I already had an Injen intake on my Fiesta ST which made the stock bypass-valve quite a bit louder than if I were to have the stock intake. Since this spacer forces all the air out under the engine bay, the sound is quite a bit louder, especially from outside the vehicle. There are actually quite a few ST owners that I know personally who ended up uninstalling their BPV spacer, claiming the extra noise had become annoying. As for myself, I do indeed find it to be almost too loud, but not quite. It’s loud enough to scare pedestrians and piss off your neighbors, but my exhaust already does that so this isn’t anything new for me. Be sure to check out the video below!